In the 1950’s the shipyards along the Tyne were producing more vessels than the entire USA. Newcastle was also the biggest coal exporting port on the planet. Then it all went a bit wrong. Today there are no coal mines and no shipbuilding, but the city has bounced back in great style. 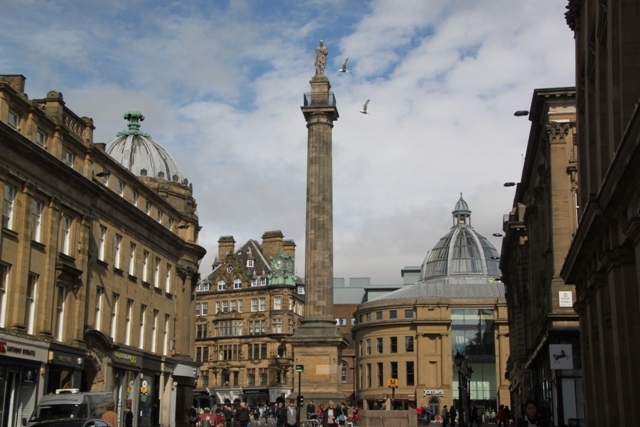 Vibrant nightlife, great museums, oodles of culture of a Geordie nature and top restaurants – Newcastle is firmly back on the map again. 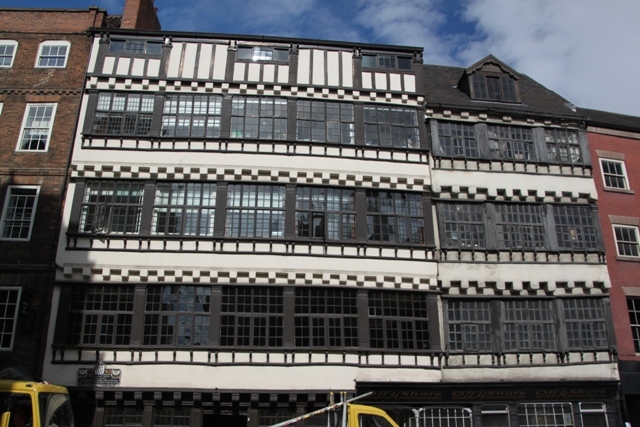 We crossed the Tyne Bridge, just following our noses really and found a lovely old wooden framed building. 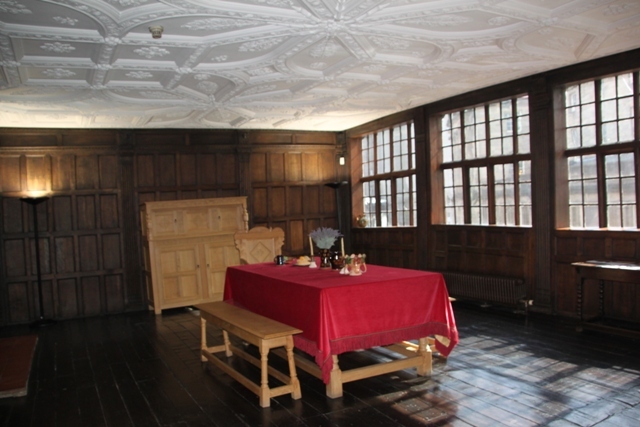 It was English Heritage free to go inside – a 16th century merchant’s house which was the scene of elopement of a lady called Bessie Surtees. Not too sure what else she did, but there are a couple of rooms to visit and a small exhibition. A hike up a seriously steep hill called The Side got us well and truly out of puff, but a good excuse to stop and admire the surroundings. 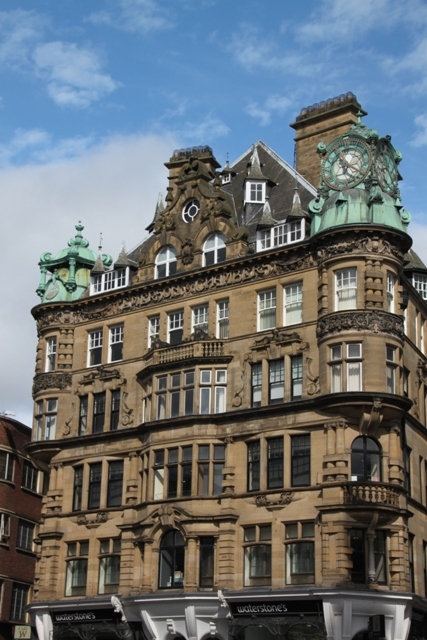 The whole city centre is full of lovely buildings and all eras of architecture. 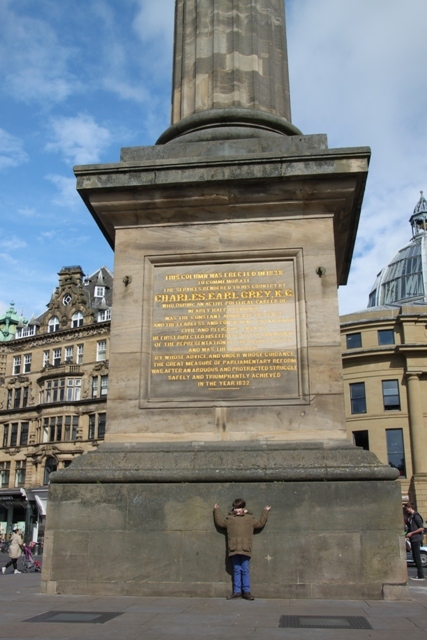 Right at the centre we found The Monument with Earl Grey – I thought he was all to do with tea, but here they commemorate him for his contribution to parliamentary reform. Great views all around from the Monument. We tried to find the Bigg Market – scene of raucous Newcastle nightlife but were not too successful – mind you it was 10.30 in the morning! 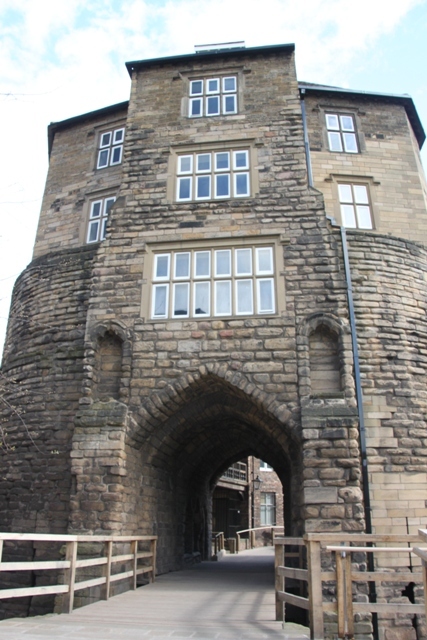 We did find Castle Keep, built around 1170 under Henry II and where Hadrian’s Wall begins and heads east to Wallsend. 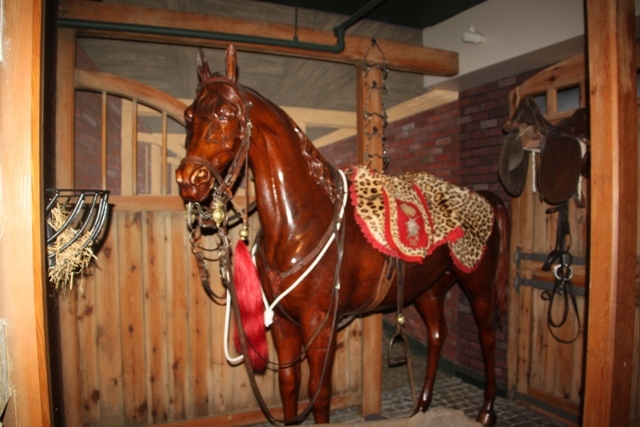 On our travels we came upon a real gem – the Discovery Museum, free entrance was an extra bonus. 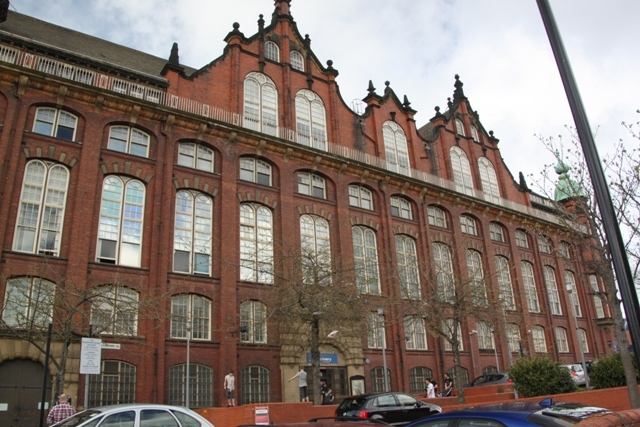 The building is lovely – the former Co-Operative Wholesale Society Building. Focused on the history of Tyneside we found ten galleries all full of fascinating stuff. 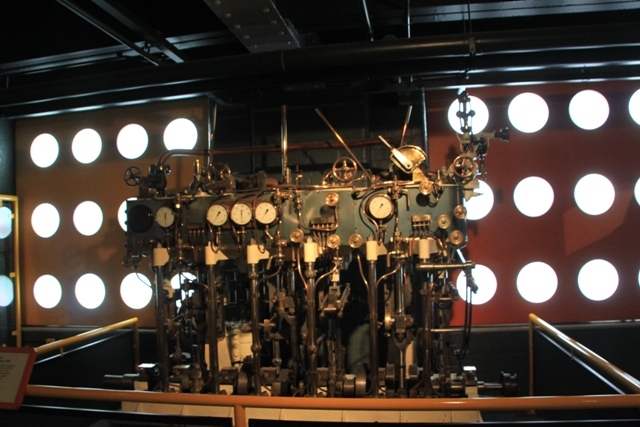 These surround a central atrium filled with the 108 foot Turbinia – the world’s first steam turbine ship and the fastest of its day. Son skipped right past all the craft activities going on for kids (there were a lot) and headed straight for the hands-on stuff in the Science Maze. 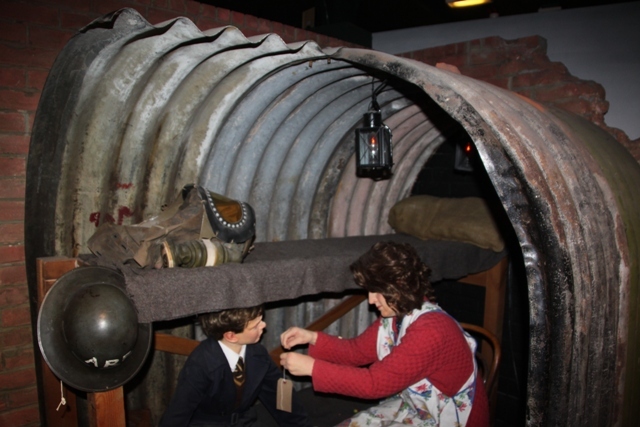 I could have stayed all day in “A Soldier’s Life” exhibition – so interesting with a different spin on the military, it looked mainly at the social side of army life in war and peacetime. Highly recommended. 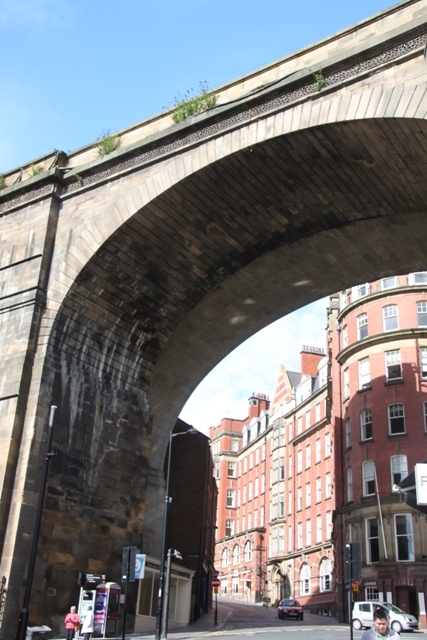 We both loved Newcastle Story, they had streets to walk along and told the history of this wonderful city from Roman times to the present day. 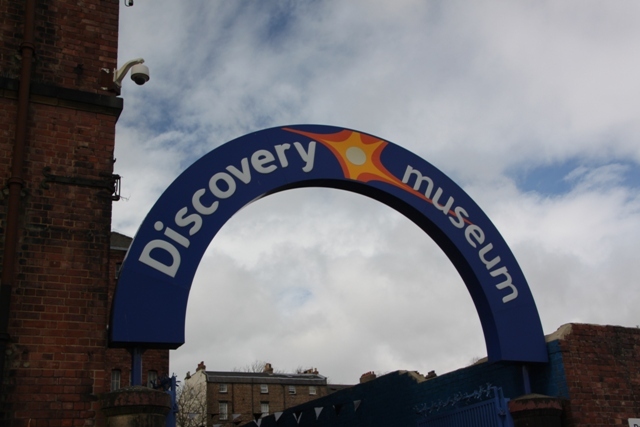 Thumbs up all round for Newcastle and especially for its Discovery Museum. 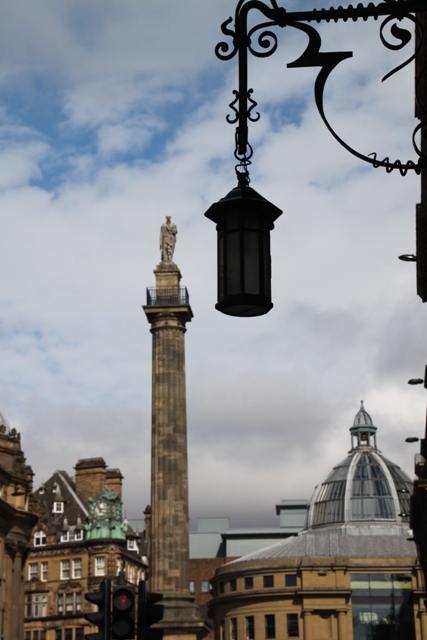 We were glad to stumble upon this place – the interactive approach to teaching Newcastle’s history was perfect for us and the best way to spend an afternoon having pounded the city’s pavements in the morning. I grew up in South Africa’s Newcastle, and always wondered how the English one looks like. Thanks! The weather is probably a lot better in your Newcastle!! However the English one is quite nice despite the rain. Beautiful! Have never been. What was your favourite spot? 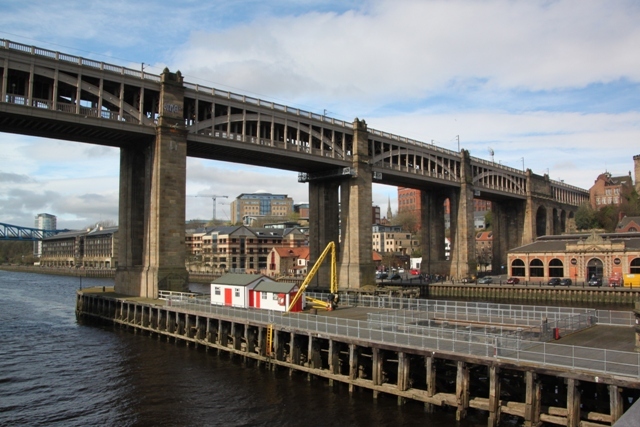 I loved the Quayside and all the bridges Virginia – the history and stunning views make it a spine tingling place. What a beautiful city, great photos! Not on the usual tourist trail but yes it is a lovely city and we really enjoyed our visit. I love that closing photograph. I’ve never been to the Discovery Museum. It looks really interesting. I expect you’ve been to Beamish. I have fond memories of trips there as a child, though I never managed to take my own children. 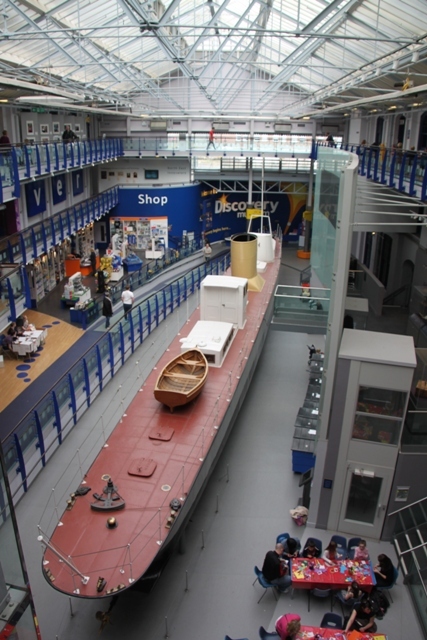 The Discovery Museum looks to be a bit like York Castle Museum too. Like you I remember having a lovely time at Beamish with my parents when I was quite young. 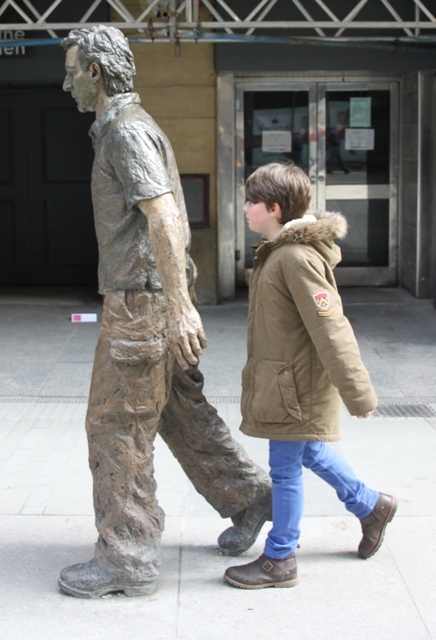 Somehow I have never managed to get around to bringing my son there too – must do that soon! 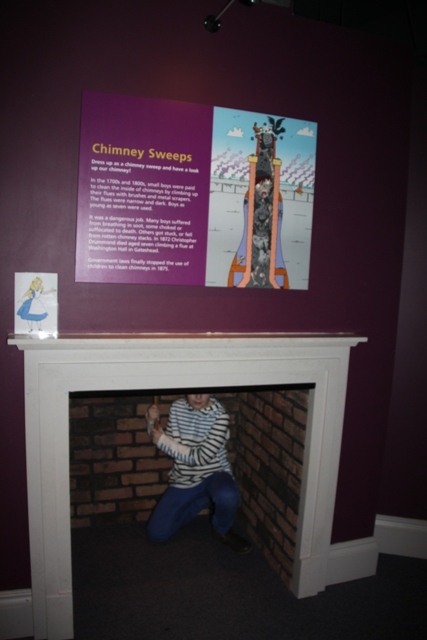 Also never been to the York Castle Museum – maybe one for the “list” as well – thanks for the tip. We only spent 3 nights there but loved it Loni. It’s the best of both worlds – a lively city with stunning countryside on the doorstep – must have been great to get to know it better by living there. How funny! It took me a minute to realise you weren’t talking about Australia’s Newcastle (which is far less impressive)! Probably the weather is a lot more impressive though Leah!! Thanks for taking me there…nice! Bye. K.
Especially enjoyed the last photo. Sounds like your son is quite the companion for outings. Children really add a different perspective to traveling. Yes that’s so true! We were avid travellers before our Son came along, having revisited some old haunts with him we have seen places with new (and mostly) improved eyes! It’s great fun travelling with kids. Thank you for dropping by! Hope you have a great trip. Oh, the Discovery Museum! I haven’t been there in years. I loved it as a kid. Supposedly the tea was named after Earl Grey because he liked it. It’s still a fab museum, we loved it. Didn’t know that about the tea, love facts like that – thank you!